Anonymous $2 million gift to the Transform Campaign is Single Largest in School's History. Shorecrest Preparatory School is pleased to announce it has received an anonymous $2 million gift to the Transform Campaign. The gift is the single largest in the school's 95+ year history and brings the total raised for Transform to more than $9 million. 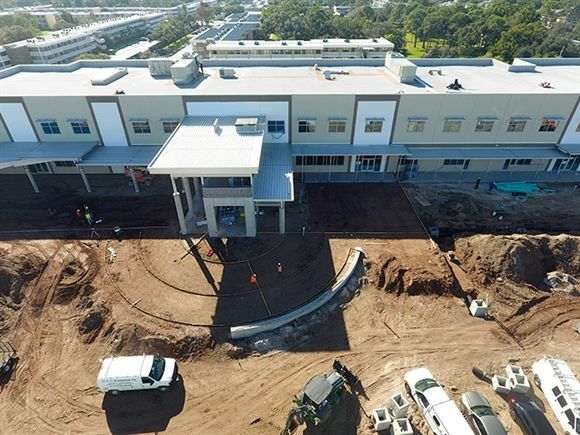 Transform is the final puzzle piece to the Shorecrest campus based in St. Petersburg, FL creating more than 60,000 square feet of new facilities and reimagining the lower campus to align with Shorecrest’s 2020 Vision & Strategic Plan. “We are grateful for this generous charitable investment and we are excited for what this gift means to the Transform Campaign progress,” Mike Murphy, Headmaster of Shorecrest said. “These wonderful donors conveyed to us the significance of this project for their family and for the Shorecrest community. This new space will bring our community together, from the youngest students to the oldest students; parents, grandparents, alumni, friends, family, faculty; a shared space for everyone to gather, learn, collaborate, share meals, and create community." The Transform Campaign’s first major philanthropic gift came from Tom Andrews and Jennifer Vesper; Andrews is a former Chair of the Shorecrest Board of Trustees. Their early contribution of $1 million helped create momentum for the largest capital project in the school's history. Shorecrest is committed to providing an educational environment that offers students choice, support and balance. Shorecrest strikes a balance between the progressive and pragmatic, developing lifelong learners who excel not only in colleges and universities, but also their professional and personal adult lives. This approach requires a significant investment in both facilities and endowment to realize the vision for Shorecrest and its students. A special group of community members who understood the importance of this plan to transform the campus and enhance the experience for Shorecrest students, faculty and families provided early critical financial support of $25,000 or more to the Transform Campaign. For a listing of Transform donors, visit www.transformshorecrest.org. “We have already made meaningful progress — more than 150 families have contributed $9.3 million toward our $16 million goal,” said Will Conroy, Shorecrest Trustee and Chairman of Transform. “Several generous donors have stepped forward, and 100 percent of Shorecrest’s Board of Trustees, as well as numerous staff and volunteers donated prior to the campaign’s public debut. We are immensely grateful to each of you for showing such deep dedication to Shorecrest."